With the winter of 2015-2016 being one of the warmest in recent memory with lots of fluctuating weather, the roads are taking a significant beating. 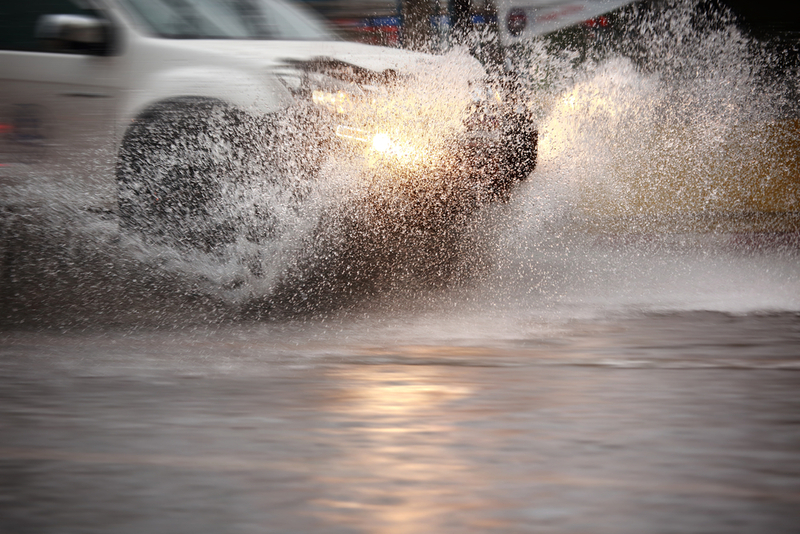 Fluctuating weather conditions can also impact your driving – and that of others on the road with you. Top Driver wants to make sure that you know the impacts of various types of weather fluctuations so you can prepare yourself to ride out the rest of the winter accident-free. To learn more about Top Driver visit us online at topdriver.com or call (888) 471-5418. Wind Speed: Wind speeds affect driver’s long- and sometimes short-range visibility. Strong winds can also cause lane obstructions by blowing objects like trees or other mobile objects into the flow of traffic. Stay alert and observant during high-speed winds. Precipitation: Precipitation – whether snow or rain – can significantly impact visibility. During times of heavy precipitation stay aware of traffic speeds and potential accidents on the roadway. Pavement Temperatures: Pavement temperatures are the culprits for many infrastructure issues. They can cause damage to pavement due to freezing and thawing, which causes the road to fluctuate in size and solidity. Friction changes can also occur when there are pavement temperature fluctuations. Water Level: When there’s significant rain or snow thawing, lane submersions can happen. Lane submersions often sneak up on you and are unpredictable, so keep your eyes open and pay attention to what other drivers are doing. Other drivers often do not follow the rules of the road when weather fluctuations are happening. Some people feel that higher speeds are acceptable after snow thaw because the roads won’t be as slick, but there are a lot of other issues that could be affecting the roadway. Keep your eyes open and be aware of other drivers and their behavior so you can keep yourself safe. This entry was posted in Top Driver Blog and tagged Drivers, Driving Impacts, Driving Weather, Pavement Temperatures, Precipitation, Water Level, Weather, Weather Fluctuations, Windspeed.